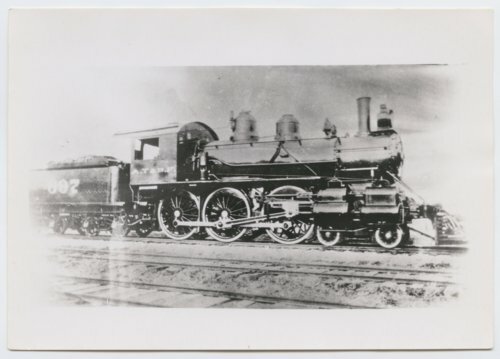 This is a photograph of Atchison, Topeka & Santa Fe Railway's steam locomotive No. 697, a 4-6-0. The photograph was taken in the Topeka, Kansas shops.